Was Pfizer Was Warned About Zoloft Defects? An interesting new piece of evidence recently came to light at a trial against Pfizer in Philadelphia. Internal memos suggest that Pfizer actually believed that Zoloft caused birth defects in pregnant women for years, perhaps providing the smoking gun that was missing in previous Zoloft cases. A jury in Philadelphia, PA is currently listening to evidence in a trial against Pfizer brought by the family of an 8-year-old girl, who was born with heart defects. The family’s suit alleged that Pfizer failed to adequately warn women that their antidepressant, Zoloft, could potentially lead to birth defects. The 8-year-old girl in this case was born with congenital defects and malformations in her heart, which were allegedly caused by exposure to the drug Zoloft. In their lawsuit, the family specifically notes that the girl was born with a hole in her heart and has experienced several cardiac episodes over the years. As part of their case, the plaintiff’s family identified internal reports by Francesca Kolitsopoulous, who is the associate director of Pfizer’s Worldwide Strategy epidemiology group. According to the evidence presented at trial, she specifically warned Pfizer executives about studies showing a link between Zoloft and heart defects. 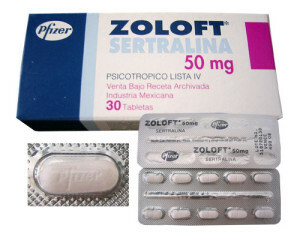 The report suggests that she even recommended that the drug’s label be modified to warn users of this new information. Kolitsopoulous pinpointed a link between the drug and septal heart defects. This nugget of information is incredibly relevant to this case given that it is the exact type of injury suffered by the plaintiff. Kolitsopoulous’ warnings didn’t end there either. She also allegedly told Pfizer executives that Zoloft could cause omphalocele birth defects, which produce holes in the abdominal walls. This is yet another serious side-effect, given that it results in a fetus’ intestines and organs protruding outside of their body. Unfortunately, Pfizer received warning about these sorts of things dating all the way back to 1998, but none of these reports were disclosed until this trial. Of course, Pfizer is downplaying the report, saying that plaintiff’s attorneys have “cherry-picked” the memo. Even if the memo was “cherry-picked” it would appear to be some fairly low-hanging fruit. Plus, Pfizer is saying that the report is being used of context. Whatever you say, Pfizer. 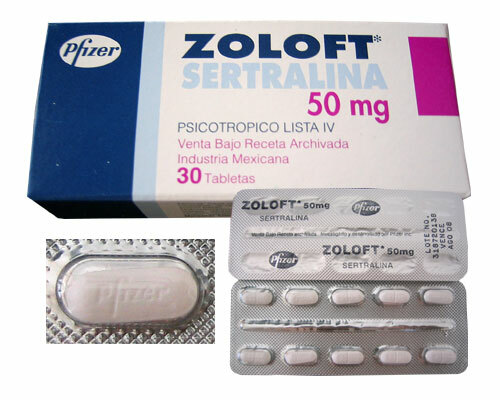 Pfizer is currently defending several hundred Zoloft lawsuits, which are fairly similar to this case. The company actually just won a Zoloft case in Missouri, but attorneys in that case did not produce the inculpatory documents that were brought out here. There are also Pfizer cases floating around the federal system, comprising a Multidistrict Litigation (MDL). Those cases are currently consolidated before Judge Cynthia Rufe in the Eastern District of Pennsylvania. All of this litigation surrounding Zoloft stems from alleged birth defects that are caused by the drug. Zoloft is actually one of the most widely used medications in the United States, but numerous studies have linked the drug to serious, if not life-threatening, birth defects in children. The FDA has issued warnings for Zoloft dating back to 2006 when they noted that newborns were at nearly six times the risk for pulmonary hypertension if the drug was taken after the twentieth week of pregnancy. A 2007 study then showed a correlation between Zoloft and abnormal skull development, gastrointestinal defects, and even brain abnormalities. Pfizer really kept taking punches when it came to Zoloft considering that two years later a study in the British Medical Journal linked the drug to pregnancy defects such as those experienced in the case discussed above. We will see how much of a difference this new memo makes. If it leads to a big verdict in this case, Pfizer might be a bit more willing to settle some of the cases against them.